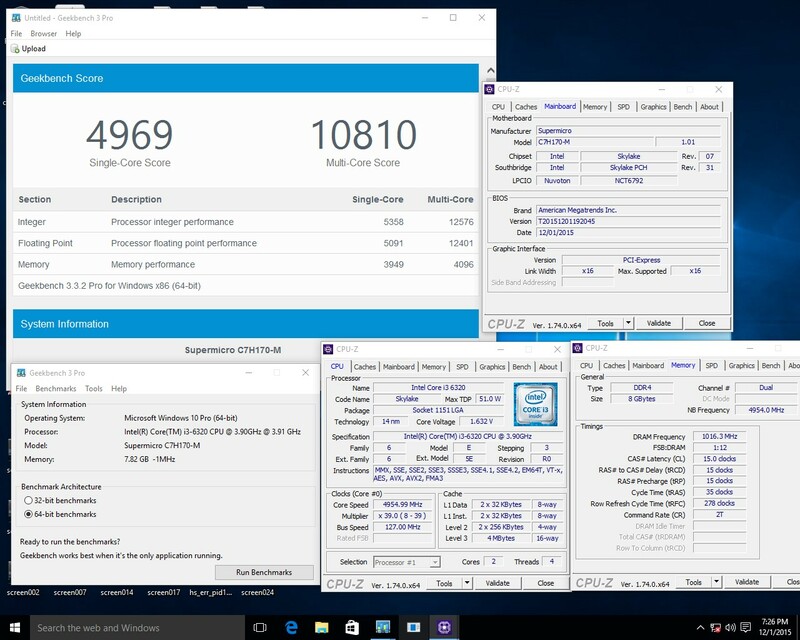 Anyone who has kept tabs on the extreme overclocking community recently would have noticed that the overclocker Dhenzjhen recently took a Core i3-6320 up to 127 MHz on increasing the base clock on his modified SuperMicro C7H170-M motherboard. 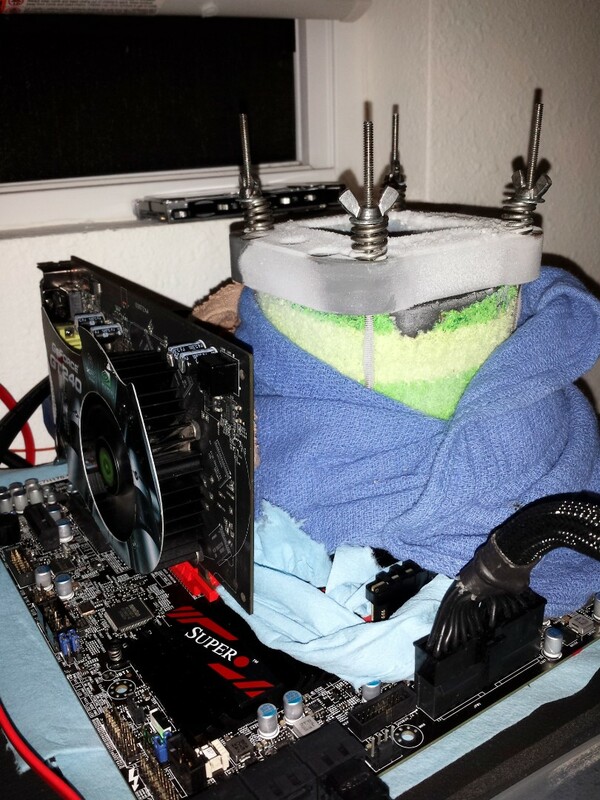 We have heard that this feature may be coming to other motherboards through a simple BIOS update in the near future. 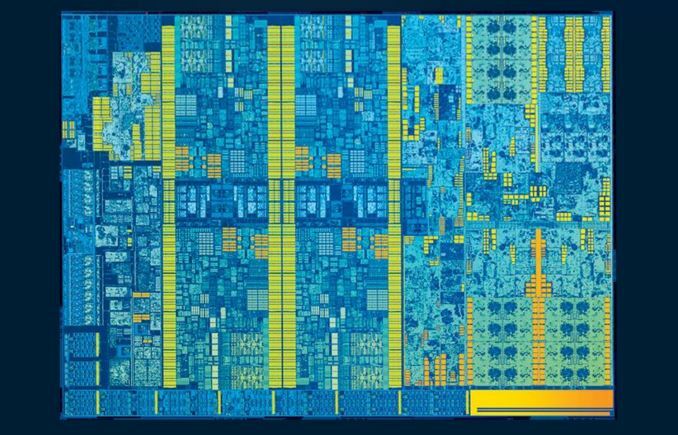 For the last few generations Intel has locked down its processors in terms of the CPU multiplier such that only a handful of parts allow a full range of overclocking. CPU frequency is determined by its base frequency (or base clock, typically 100 MHz) and multiplier (20x, 32x, 40x and all in-between depending on the part). The base clock has always been ‘open’, however in Sandy Bridge, Ivy Bridge and Haswell it has been linked to other parts of the system, such as the storage or the PCIe, meaning that any overclocking beyond 103-105 MHz led to other issues such as signal degradation or data loss. The Skylake platform changes this – as we noted back in our initial Skylake launch details, the chipset and PCIe now have their own clock domains, meaning that the base frequency only affects the CPU (core, uncore, cache), integrated graphics and DRAM. Despite this, our best efforts to overclock non-K processors in-house (we have an i5-6500 for review at some point) are limited to a few MHz – the 103/104 MHz boundary has been tough to penetrate if possible at all. This makes what Dhenzjhen posted very interesting, as he was able to get a 27% performance boost (albeit under liquid nitrogen for an overclocking competition). Even with a 10-15% jump for day-to-day use, this allows the array of Pentium and Core i3 processors that are multiplier unlocked to get another 200-300 MHz boost in performance. We can postulate as to the reasons why Intel doesn’t release a Core i3 unlocked model, but if non-K overclocking can be enabled then this at least pushes some of the way there. Supermicro are in the process of shipping me the board in question and an i3 for testing. For clarification, Dhenzjhen is associated with Supermicro - many top overclockers are associated with a technology company in some way to help push the technology forward. After speaking with Supermicro, ASRock knocked on my Skype chat to tell me they can do the same thing, and I received a string of messages and emails saying that they can do it on their motherboards, such as the Z170 Extreme7+ which we reviewed a couple of weeks ago, with nothing more than a simple BIOS update. ASRock forwarded me images saying that on their Z170 OC Formula, they can successfully adjust the base clock of the Pentium G4400 by 20+%, the Core i3-6300T by 20% and the i5-6600 by over 30%. I was told that they will be rolling out a BIOS update to a large number of their motherboards after internal validation has been carried out and this should give a slow trickle of BIOS updates over the next week or so. I should point out specifically that ASRock states that their results (20-30% OC) were all done on air cooling. I am not being told (yet) as to what is required on the manufacturer side to do this, and I have a small amount of conflicting information also depending on whether this adjustment requires a physical change on top of the firmware adjustment. I suspect something in the chain that shares the clock domain with the CPU is being given an extenal reference clock, which is not part of Intel specifications but some motherboard manufacturers are doing automatically which requires some firmware adjustment. When all the motherboard manufacturers are doing this, then the exact reasons why should make its way out into the open, along with lists of compatible motherboards. Though it is worth noting that any BCLK overclock on this scale will result in the integrated graphics being disabled automatically by Intel's VGA driver if it is installed - before installation, the integrated graphics can still function I am being told. Overall, this opens up the gates for interesting $800-like builds based on Pentium or Core i3 processors, and if we get a number of these in we will give our experiences and benchmark results in both stock and overclocked modes. I suspect that for the Pentium side of the equation we will see similar to the overclockable Pentium G3258 that Intel released last year, but the Core i3 angle proves to be interesting. 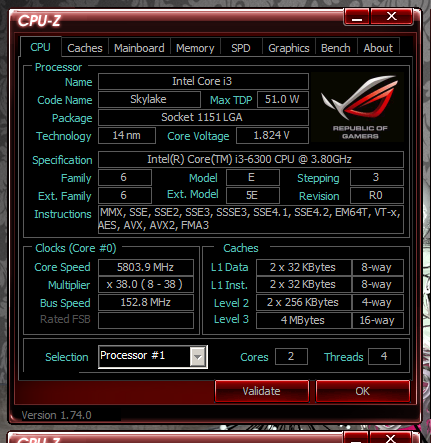 Additional: Since Dhenzjhen’s initial score, elmor has achieved a 152.8 MHz overclock (again, under extreme conditions for competition) on a Core i3-6300, giving a total frequency of 5.8 GHz using an ASUS Maximux VIII Gene. 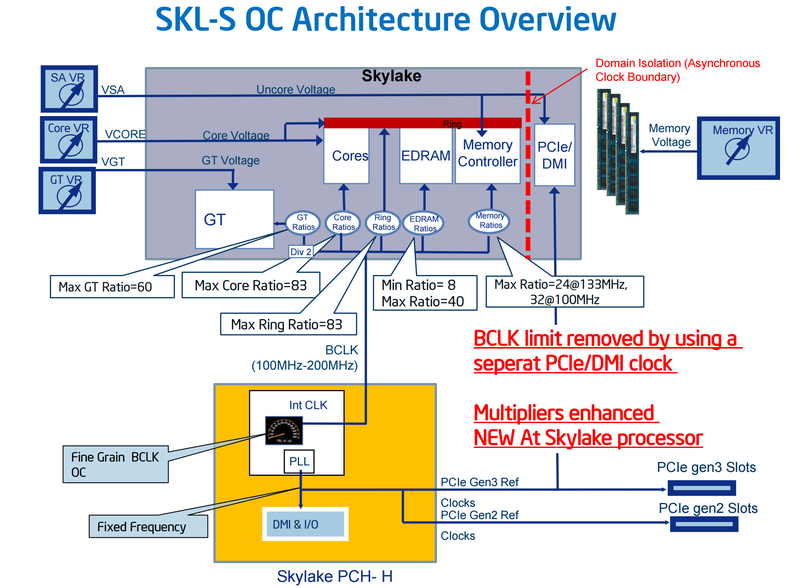 Given elmor’s ties to ASUS, I suspect that ASUS will also roll out adjustments over time for BCLK non-K overclocking. Given Supermicro, ASRock and ASUS are doing this (presumably GIGABYTE, MSI and EVGA will follow), I wonder what Intel’s reaction will be to it. Despite most Intel processors being multiplier locked and the different clock domains and Intel’s push towards being ‘for gaming’ and ‘for overclockers’, the locked CPUs quizzically fall on the wrong side of that strategy, but for CPU manufacturers it does encourage users to buy the premium parts. If users can now buy the slightly cheaper Core i3 or Core i5 parts with hopes of a 10-15% overclock, there are many potential scenarios as to how this plays out both for consumers and Intel’s bottom line. There's also the fact that non-K processors have several features that the overclocking processors do not, such as Trusted Execution / TXT. We have reached out for an official response to the BCLK non-K overclocking methods that the motherboard manufacturers are using. But I have no doubt that system integrators will offer pre-overclocked systems as well. There is also the angle of enterprise to consider, if this opens up the Xeon side. While Xeon and overclocking might not be a good thing for most use cases, in the financial industry and areas where DRAM performance matters, it could be interesting. The usual argument is that a Formula 1 engine only works for 1000-2000 miles, or the tyres are only good for 150 a set. You're not going to take it down the shops like that, and in F1 it's practically destroyed when you're done. But it sure makes you go fastest. Yeah, there's no need to crest much beyond 4ghz on these dual core i3s (though I'd absolutely LOVE a review to investigate that claim). 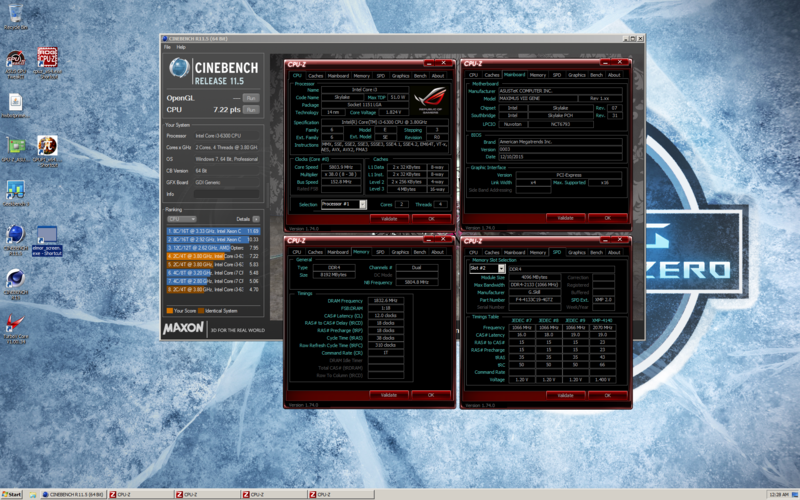 Last heavy OC system i built was i7 920 era on x79, beautiful platform. Was able to hit 4.4 no probs back then either. It saddens me that essentially intel has been releasing minor incremental updates with every generation since then, and the overall performance really hasn't leaped in years. A sandy bridge quad core is still quite competitive for instance. I remember in high school every fall there was something coming out twice as fast as last year...it was amazing...286-386-486...the pentium III whoa man p3 was a beast....tualatin 1.4?? That was the platform intel went back to after the netburst failure. While everyone points to moore's law i really think intel is also content to deliberately release the tech in minor increments now in order to capitilize thier profits, I suspect if AMD could start competing again magically we would see some miracle tech appear on the shelves almost overnight. Ye, I know the analogy between F1, though there are some fundamental differences... With OCed chip, you don't achieve any technological advancement, don't try new architecture etc... I don't see any experimental cooling solution based on some crazy maths and physics developed as an outcome, while F1 development is all about optimizations and tech advancements. Like "supercool new feature X or composite material Y" of this year's Ferrari can make it to a mass production cars in 5 years (example). Ofc, there is the "need for speed" factor is there, both with F1 and CPUs, but that's quite like all there is in common.